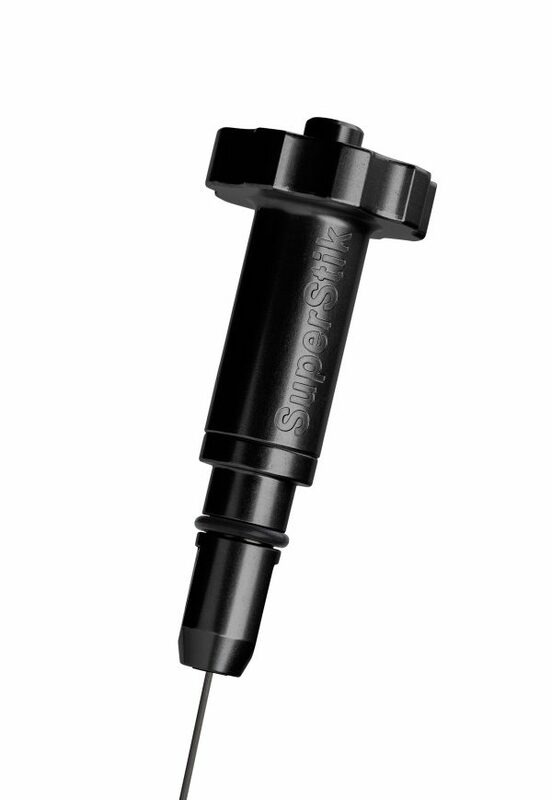 The SuperStik precision dipstick utilizes patented technology to vent trapped air that forms inside a dipstick tube when taking oil level measurements. This dramatically improves accuracy and repeatability over a standard dipstick. 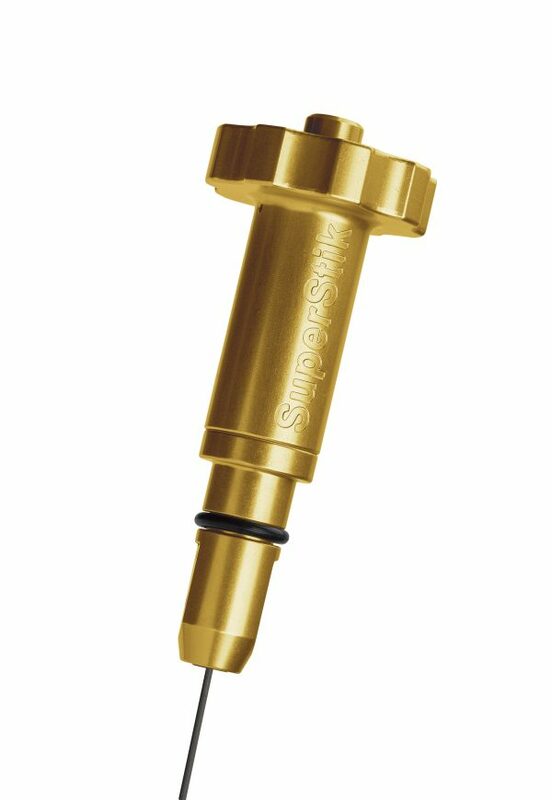 As a direct OEM replacement, the SuperStik offers superior performance with innovative design and aesthetics. Patented valving system provides accurate and repeatable oil level readings with the push of a button. CNC machined aluminum body is anodized in multiple colors. Innovative blade design with easy to read oil wicking surface finish. Make and model specific applications allow for easy installation, direct oem replacement. A seal on a dipstick handle is required for emissions standards. The seal pushes and pulls a trapped pocket of air in the dipstick tube when the handle is inserted or removed. This intern causes the oil level around the dipstick to move in response, leading to the rampant inconsistencies found when using OEM dipsticks. Accurate dipstick readings ensure optimal oil levels for maximum engine life and fuel economy. Dipstick repeatability allows the establishment of a baseline for future measurements to be referenced to. These relative measurements provide insight into the health of an engine and can bring attention to problems before catastrophic damage occurs. Toyota, Subaru, Nissan, Mazda, Infinity, Honda, Ford, Chevrolet and Mitsubishi. Coming soon for Dodge and Mini Cooper. 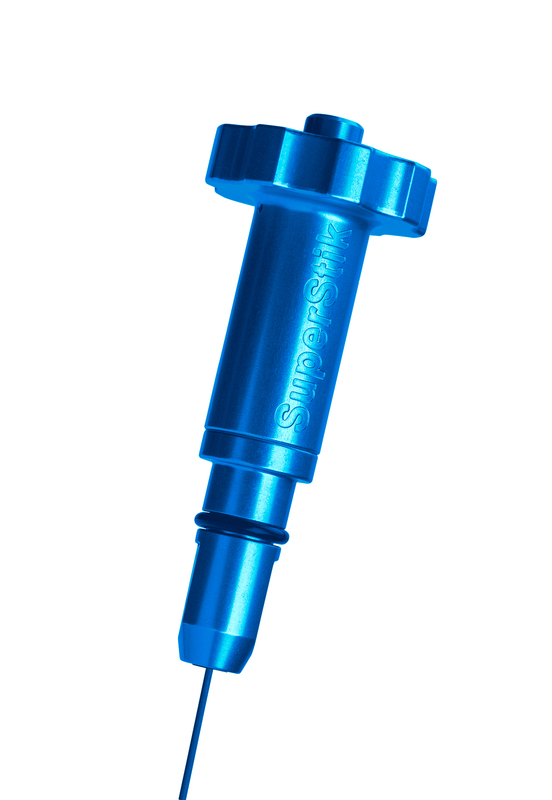 Purchase a SuperStik and take the guess work out of measuring your fluid levels.